Harris Jayaraj in Ahmed-Ravi film? It is said that Jayam Ravi will start shooting for the film in September, but the source reveals that they’re yet to finalise the shooting schedule. Composer Harris Jayaraj seems to have been very choosy with his projects for the last couple of years. Seven months into 2017, he has had only one release, which was Vanamagan. He is currently busy with the composing sessions for Vikram’s Dhruva Natchathiram and Prabhudheva’s Karuppu Raja Vellai Raja. In fact, he went to London to record four songs for the latter. Now, if rumours are to believed, Harris has been brought on board for director Ahmed’s upcoming film, with Jayam Ravi in the lead role. A source in the know tells us, “It’s too early to talk about it, but it will be great if Harris Jayaraj hops on board for this project. Like Ahmed’s previous projects, this untitled flick will also be a full-fledged commercial entertainer.” Currently, pre-production work is progressing and the team is simultaneously finalising the cast and crew of the film. 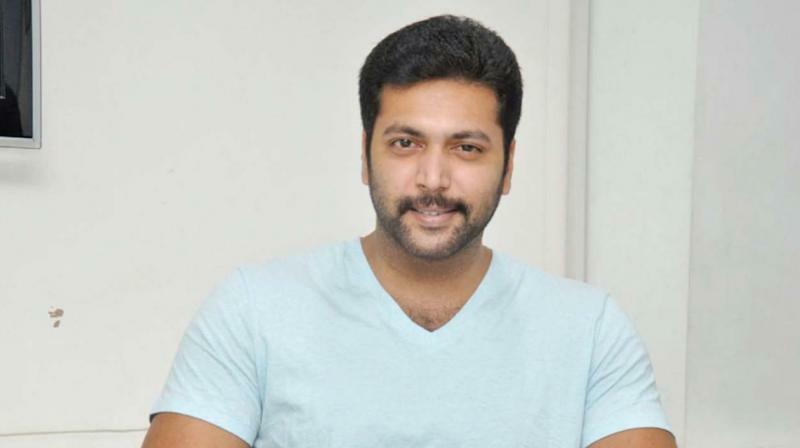 It is said that Jayam Ravi will start shooting for the film in September, but the source reveals that they’re yet to finalise the shooting schedule. Post the release of Vanamagan, Ravi is concentrating in grooming himself for Sundar C’s Sangamithra, which requires him to beef up.